The Estonian Safer Internet Centre exists to promote a safer and better use of the internet and digital technologies among children and young people. Organising training sessions and seminars for children, parents, teachers and social workers. Organising awareness-raising events and campaigns for the public. Developing study objects for teachers. Developing and disseminating awareness-raising materials for children, teachers and parents. Organising creative competitions for students and children. Celebrating Safer Internet Day by organising events and involving kindergartens, schools and youth centres. Participating in Insafe network activities and contributing to the European resource repository. Together with our partners, about 440 educational materials, including lesson plans, cartoons, videos, games, posters, booklets, tests, and so on, have been developed for the target groups: children, young people, teachers, parents and other specialists working with children. All materials are available on the Safer Internet Centre (SIC) website at www.targaltinternetis.ee. Every year Safer Internet Day has been celebrated by organising different events (conferences, campaigns, public awareness-raising events, and so on) during a two- to three-week period in cooperation with the main stakeholders. Helpline services are provided by the Estonian Social Insurance Board who, according to the Estonian Child Protection Act, is responsible for the maintenance of Child Helpline 116111 services. The Estonian Social Insurance Board acts as cooperation partner for the Estonian Safer Internet Centre (SIC) and provides, in the framework of the helpline service, 116111 services for giving advice and support to children and parents on issues related to children's use of digital technologies and services. Counselling is provided in Estonian, Russian and, if necessary, in English. In addition to telephone, the Child Helpline Service can be accessed via the website which offers a chat option (www.lasteabi.ee); the website also offers a possibility of sending an email. There are also Facebook, Skype and the Lasteabi App options. Like the telephone line, these methods of access are also available 24/7. The Child Helpline Service is staffed by psychologists, social workers and nurses. In order to ensure the best service the calls are recorded. In the framework of the partnership with the Estonian Safer Internet Centre, the Estonian Social Insurance Board contributes to the European platform by providing statistics and information related to the helpline services. 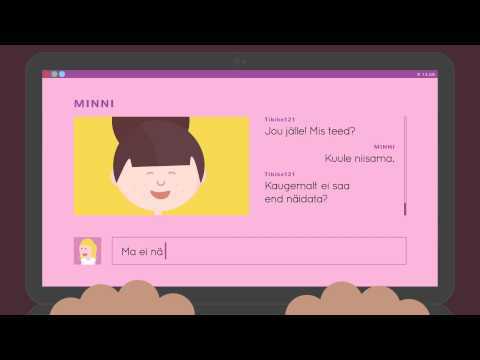 The Estonian Hotline - Vihjeliin, www.vihjeliin.ee - is a free-of-charge online service operated by the Estonian Union for Child Welfare and enables internet users to report child sexual abuse images being distributed online. The mission of the Estonian Hotline is to contribute to the removal of such illegal material from the internet as quickly as possible. The website of the Estonian Hotline is available in three languages: Estonian, English and Russian. The Estonian Hotline assess every report and pass information about any material assessed to be illegal to the Estonian Police and Border Guard Board if the material is hosted in Estonia. Information about material hosted outside of Estonia and assessed to be illegal is forwarded via the INHOPE data exchange system to the country in question. The Estonian Hotline raises awareness among the public by disseminating relevant information and materials. It also organises seminars for social workers, youth workers and other stakeholders. The Estonian Safer Internet Centre (SIC) has a youth panel with 15 members who are students, aged 11-18, from different schools all over Estonia. The youth panel members are very active. They meet face to face two or three times per year, while also meeting and working online. They consult project members and trainers for developing awareness-raising materials and methods, contribute to the organising awareness-raising activities and also develop their own materials for raising awareness among their peers. They also give their input to events organised by other stakeholders. The Estonian Safer Internet Centre (SIC) has been successfully cooperating with schools as well as with kindergarteners. During recent years, more than 750 Smartly on the Web training events have been organised all over Estonia for 43,687 children and students, 4,603 teachers and 2,381 parents. Each February, the Estonian SIC celebrates Safer Internet Day by organising different awareness-raising events and campaigns during the whole month. It has organised successful conferences for teachers, parents and specialists working with children, as well as special events for children and young people. The Estonian SIC has encouraged kindergartens, schools and youth centres to join and to celebrate Safer Internet Day by organising thematic events in their organisation or institution. During the last two years a very good response has been achieved, receiving more than 200 reports about their activities each year. 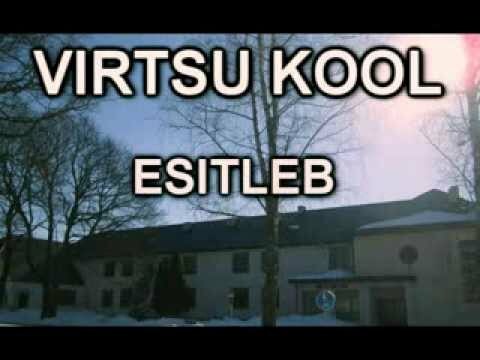 The Estonian Safer Internet Centre (SIC) is a joint initiative of three organisations: Estonian Union for Child Welfare, Information Technology Foundation for Education and Estonian Police and Border Guard Board. A direct cooperation partner for the Estonian SIC is the Estonian Social Insurance Board. The Estonian Safer Internet Centre has an Advisory Board whose members apply their knowledge and experience in order to achieve the objectives of the Estonian SIC projects. The members of the Advisory Board are representatives of the Ministry of Education and Research, Ministry of Justice, Ministry of Social Affairs, Ministry of Interior Affairs, Ministry of Economic Affairs and Communications, Estonian Data Protection Inspectorate, Estonian Social Insurance Board, Telia Estonia AS, University of Tartu, University of Tallinn, Estonian Association of Parents, Association of School Psychologists, Estonian Informatics Teachers Union, Estonian Association of Information Technology and Telecommunications, Information Technology Foundation for Education, Estonian Police and Border Guard Board, and Estonian Union for Child Welfare. The Estonian Safer Internet Centre's activities are financially supported by the European Commission, the Estonian Ministry of Education and Research, the Estonian Ministry of Interior Affairs and the Council of the Gambling Tax. Online compendium "Smartly on the Web"